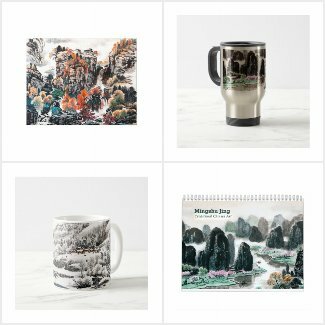 Love fish? Perhaps you can try this Chinese steamed fish recipe. Really simple and easy to make, fresh, tasty and healthy too. I have got a number of Chinese fish recipes posted on this site, my father’s Chinese red cooked carp, my adapted version of Chinese pan fried fish, then there are Chinese style oven cooked cod and Chinese microwave oven fish. 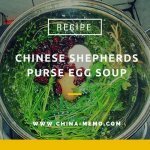 If you are interested in Chinese style fish recipes, click the links to check them out. 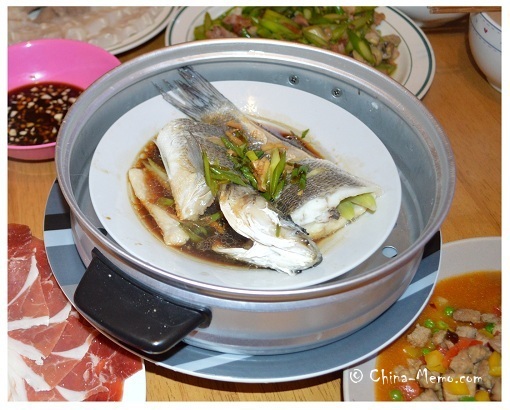 Here I tidy up another Chinese steamed fish recipe for you. The two pictures below are not from my cooking, one picture taken from the dish made by one of my Chinese friends, who cooked this dish when we had a Chinese New Year food party. Another dish was made by a Chinese medicine doctor who invited us for Christmas eve and made lovely Chinese food for festival. 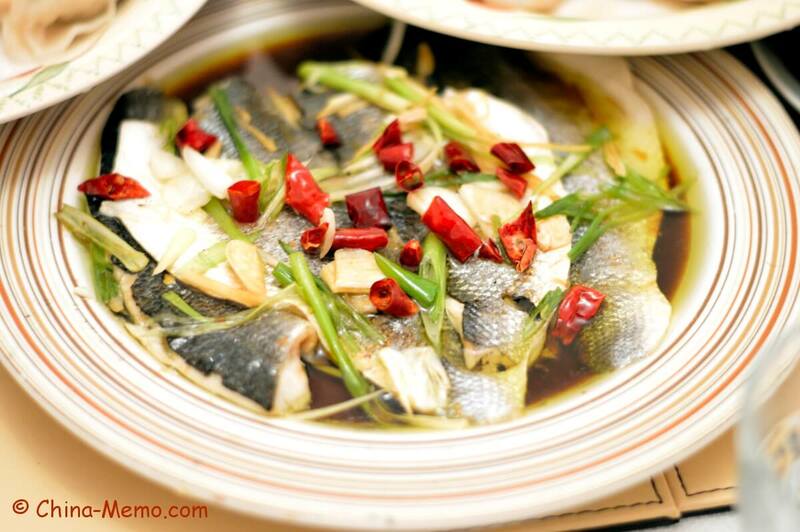 The recipe here is a very common way of cooking Chinese streamed fish that we used in China. Cut to open the fish, take the inner stuff out and rinse to clean. If needed, cut the fish into smaller size to suit your steamer (as shown in this recipe). On back of fish, cut the surface across the width, which helps the flavor to get inside. If you have a big size fish and want to make sure all meat get the taste, you may put some salt on the surface, inside and out, marinate for about 5 to 10 minutes before steaming. For small or medium size fish, it may not be necessary as the the fish can easily get the flavour from the sauce anyway. Place the fish in a steamer and steam for about 10 minutes. While the fish is in steamer, start to prepare the sauce. Cut the ginger into thin threads. We prefer to do so because this will make the dish look nice, plus the flavour will be easy to get into the dish. Also cut the spring onions (and red chilies, if you prefer some spicy taste for the dish). Set aside. When the fish is nearly cooked, heat the wok to high heat, add oil, ginger, light soy sauce, sesame oil and fish sauce (if you have it). Mix all ingredients well for one or two minutes. Once the fish is cooked, place it in a plate. Pour the sizzling hot oil mixture on top of the fish. Garnish the fish with spring onions and serve hot. That’s it. 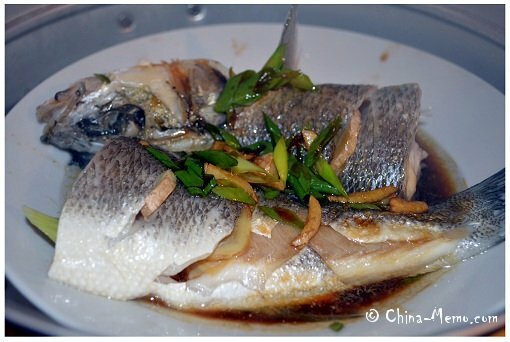 This steamed fish dish is very easy to make, and really fresh and tasty, plus it is healthy! You may also like other Chinese fish recipes here: Chinese fish recipe Red Cooked Carp, Chinese micorwave oven fish, and Chinese Pin Nut Fish.